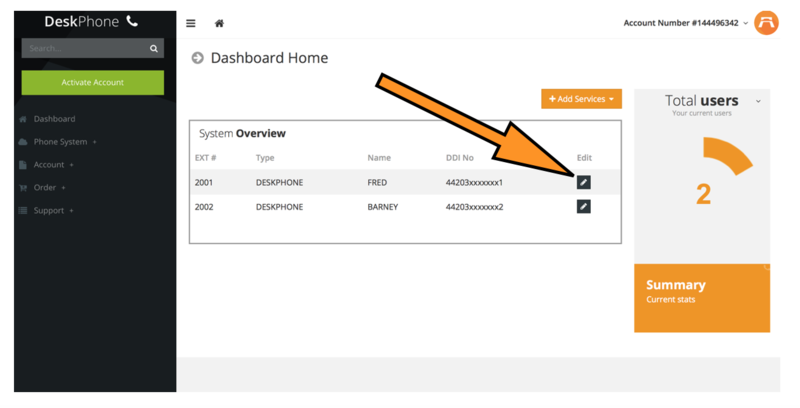 You can update the email address which your voicemails messages are sent to for each of your users on the dashboard by following the steps below. In the main settings box at the top of the screen you will see a field for email. Enter the new email address in this box and click SAVE. If you would like to update the voicemail email on any of the other users at this point you can go back to the main dashboard screen by clicking dashboard on the left hand side of your screen and then repeating the steps again for the other users. Alternatively, you can request this change via email by emailing our support team (support@desk-phone.com) to ask for this to be updated. If you have more than one user please ensure you include details of which users are to be updated.